As last year, Herts county are planning for run fixtures and/or training for U12, U15 and U18s on regional dates for girls who do not make the rehional teams - so, based on nominations, we can safely say that is most of you. There will be nothing on the date of the regional trial - 11th January - but there are very firm plans for a session, ideally inter-county fixtures, at Welwyn on 25th January and Eastern Counties are have invited Herts to a session somewhere in Norfolk or Suffolk on 8th March. Other dates to be arranged. These fixtures will be ideal for EVERYONE to attend. Not only will you get to play full 15-a-side fixtures, but with the regional players away it is a great chance for younger girls or girls relatively new to the game to play - and maybe catch the coaches eye for county and maybe regional selection next season. Start time at Welwyn on the 25th will be the usual 2pm (meet at 1.30). Women's Rugby Magazine - launching soon?? Back before the start of the season it was announced that an attempt was to be made to create a magazine devoted to women's rugby. This was great news - though not the first time it has been tried and all past attempts had failed to get to even the first issue - so there was a degree of scepticism in some areas. However Susan Hughes, whose idea this was, had a new approach - and online magazine, rather than a traditional paper affair - a concept that would slash costs, allowing her to offer subscriptions of only £12 per year. Articles were sought from various players and commentators on the game (including me!) in September... after which things went a bit quiet. Until recent weeks when a website appeared - http://www.womensrugbymagazine.co.uk/. At present it appears to be something of a Beta Site (ie. looks nice but doesn't quite work properly in places) but it is a promising development. To begin with it was simply reproducing RFUW press releases, but of late this has been interspersed with a few short paragraphs of editorial from Susan. Quite how far we are away from seeing the first edition of the full magazine itself it is difficult to say - at the moment you cannot actually complete the subscription process, which may indicate its not quite ready yet. Anyway - once it is up and running properly I would appeal to as many of you as possible to support the initiative. While the mainstream rugby media either ignores the women's game (or at best uncritically reprints official press releases) women's rugby, both nationally and internationally, desperately needs an independent voice. It is incredibly unhealthy for any activity to have rely on official sources for all its news and comment - even the most well organised governing body needs to be asked a few questions from time to time. One of the main reasons why I publish so much stuff that has nothing whatsoever to do with club affairs is that quite simply no-one else (outside the USA) is - if a proper publication can take this job on then the game can only be the winner. So drop by the site and register (that part is free). Send Susan your encouragement, and once she is ready get ready to break open the piggy bank! A few days late, but news has come through that Hayley has made the East Region senior squad. This is quite an achievement. Hayley was comfortably the youngest trialist, and the only player never to have played senior rugby, amongst nearly 40 players most of whom play at Premiership or Championship level. But based on her performance it really isn't a great surprise. This does mean that we will have one fewer player at the junior trials in January as players are not allowed to be members of both squads. It may be that - for various reasons - not everyone will be able to get to the trials in January, but to be selected is still an achievement and deserving of recognition. Well done to all of them, and commiserations to those who missed out. And before anyone asks we still don't know the result of Hayley's senior trial. She was due to be told one way or another by last Friday, but still no word (and apparently she is not the only one, so there must be some hold-up somewhere). PS. ...and I understand that the electronic registration system is now working. 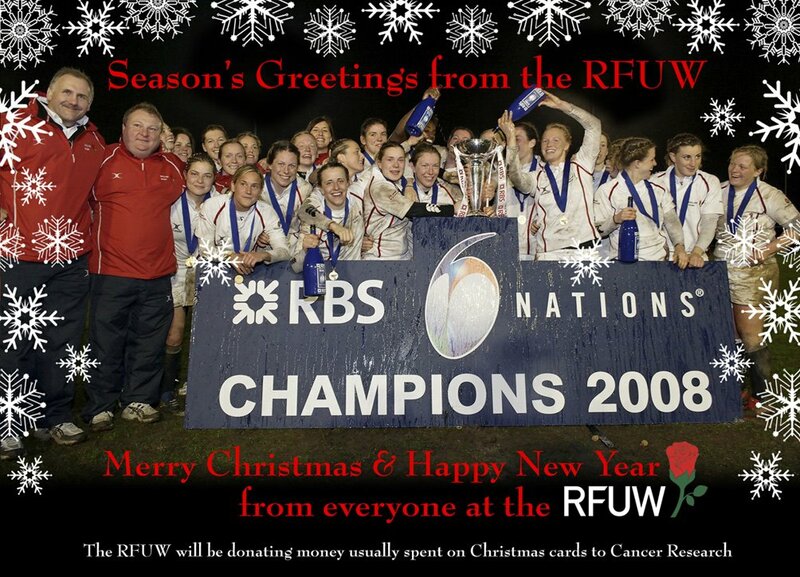 It is suggested that I am overly critical of RFUW at times, or even "do not support the England team". Its not true - and, having touched on this before, I was going to let this item lie as it didn't need repeating. The claim first appeared in the RFUW match report from the weekend's game against the Irish President's XV and has been popping up on various sites throughout the day. And the teeny snag is that its complete baloney. Even if last Saturday's game was an international (doubtful to put it mildly), although England have not lost a game since the World Cup final in 2006 it is also worth remembering that New Zealand have not lost a game since 2001. That alone should have given pause for thought. England do play more often, but even so "extraordinary claims demand extraordinary proof" and you'd think someone would have at least checked on the Black Fern's record before leaping into print? Because if they had then they would have found that New Zealand's win against Australia last month was their 23rd consecutive win - still four ahead of England. At least*. *"At least" because it is, frankly, doubtful that -even if this was an international - it was England's 19th straight win anyway. I won't bore anyone with the details, but suffice to say that if RFUW insist that games against President's XVs count as internationals, then the same must apply to games in tournaments for full international teams regardless of England's own selection policies for those tournaments. Several of our girls have been sent links to register for the East Region junior trials next month (actually I don't know exactly who yet - anyone want to admit to having the call?). Anyway it appears, after one or two girls contacted me, that there is a fault with the RFUW's electronic registration system - essentially you cannot get beyond the first screen before an error message comes up. I know that this was worrying some as the closing date is quite close (2nd January), so anyone going away for Christmas might be concerned about not getting their registration in time. The message I have had is to keep trying. I hear that it may be sorted out tomorrow or soon thereafter. However, if you are going away and find you cannot get your registration through before your leave then I suggest you email you acceptance of the trial to regionalrugby@therfu.com, maybe copied to regional manager Phil Robson. You should include details of your preferred positions and also shirt size. Earlier this month we unearthed one of our former coaches alive and well way out west - well, here's another one. Admittedly Joe is still a familiar face at Legends Lane too, but most of the time he is in charge of a new bunch of players - Gloucestershire's county teams (Under 18s above). And a pretty good job he is making of it too. A week ago he took his charges on the long trip to a triangular fixture in Newquay where they took on Somerset and Cornwall. His U18 squad were pretty devastating thumping Cornwall 50-0 before dismissing Somerset 32-0. Unfortunately Joe's press release doesn't mention how his U15s got on but overall Joe said that "both squads have put in some really notable performances which is really pleasing to see” so presumably they have done pretty well. Both Joe and many of his girls now turn their attention to matters regional, with Joe manager of South West North. First news about the qualification process for the 2010 Women's Rugby World Cup (WRWC) has been announced... by the Swedish RFU. The IRB were supposed to be publishing full details back in October, but seem to have forgotten all about it. Luckily the Swedes have not decided to wait for a formal IRB statement, and have just published full details on their own website. In Swedish. And the shock headline news is that Europe are to be given six of the 12 places, instead of five in 2006 and the top 12 teams in Europe (based on current FIRA rankings) will compete for these places. The first four places will be awarded to the top four teams in the 2009 Six Nations. The two teams finishing fifth and sixth (probably Italy and Scotland) will then play off for the final two places against Spain, Netherlands, Russia, Sweden, Germany, and Belgium in a tournament to be held in Sweden in May. Details here. The effect of all this is that another part of the world loses out. As four of those six teams must inevitably be USA, Canada, Australia, and New Zealand this means that all the nations of the Caribbean, South America, the Pacific Islands, Asia and Africa now have only two places to play for. Somehow. It would be nice if the IRB could maybe explain how it intends to get this quart into a pint pot. I don't think we should hold our breath, though. Result from Dublin: Irish President' XV 8, England 19. Sounds like an impressive performance by an understrength Irish team... No match reports available yet. Lichfield RFC will be giving women's rugby two minutes of primetime coverage on ITV1 tomorrow evening. Admittedly the nature of their media fame may not be quite what the rugby authorities would be hoping for, and they will be sharing the screen with "33 cheerleaders, three wrestlers, two knights, 11 mod scooters, two belly dancers, five stilt walkers, three jugglers, five BMXers and a hovercraft"
Lichfield will be taking a staring role in an special advert to relaunch Cadbury's Wispa chocolate bar and, in the ultimate example of an advert being more interesting than the programme that surrounds it, the two minute production will be broadcast during ITV's All Star Mr and Mrs Christmas Special tomorrow night. Apparently the team - which included several England players - were not paid for the day's filming, but were allowed to consume as many chocolate bars as they wished during the day. "One of the team centres managed to eat about 13 and I managed to eat about 10, and had a couple in my pocket for the drive home," said captain and prop Becky Williams - impressive, but overall 6,000 bars were eaten by 400 cast and crew on the day so this was disappointingly below average for the day - I suspect the cheerleaders! News overnight that the credit crunch has hit New Zealand rugby in a big way. Its too early to judge whether the Kiwis are unique in being impacted badly by the global financial crisis or other nations are keeping quiet about it, but the cutbacks will affect every aspect of New Zealand rugby, including the womens team - just as they should be gearing up to defend the World Cup in 2010. "The Black Ferns will have a limited programme in 2009, which will be geared at maintaining continuity and preparations for the Women's Rugby World Cup in 2010. Women's players will be in contention for the New Zealand Women's Sevens team which will play at the first ever Women's Rugby World Cup Sevens tournament in Dubai in March." They didn't exactly have an extensive programme to begin with, playing only Australia in 2007 and 2008, so this might point to an end to even that fixture in 2009. However in the lead-up to previous World Cups the Kiwis have visited North America for various international tournaments - it may be that they will have to prepare this time without the benefit of these events. Elsewhere, England continue their preparations with their "uncapped friendly" (to quote Irish sources) against an Irish President's XV on Saturday. The dispute between the two nations over the status of the game remains unexplained, but is reflected in their selections. While England will be close to full strength the Irish squad includes only three players who started last season's Six Nations game between the two teams while including five players who were not atthe recent 40-strong Irish national training camp. A pretty comprehensive England win can be expected in a game that will tell us very little about the strength of the two teams for the 2009 Six Nations. What can you do when you can't play rugby? This is a perennial problem in Canada and much of the rugby playing areas of the USA, it seems, as they have to have a winter break - because it gets too cold. Well, one Canadian international has a solution. When its too cold to play and she feels starved of the buzz that comes from playing (what some studies suggest) is rugby's most dangerous position (full-back) Heather Moyse leaps (literally) into a bobsleigh to travel at 100+mph down an ice covered tube. And she is pretty good at it too - being breakman in Canada's No. 1 bob, and last weekend was winner of a World Cup race in Austria. Not sure how much of a solution this would be to rugbyless weekends in East Anglia, though, being as we generally lack a) snow and b) mountains (or even half-decent hills come to that). Perhaps mud sliding could become an Olympic sport? OAs say "come and try adult rugby"
Following on from Hayley's taster on Sunday, OA Saints are offering U18 "taster sessions" for all U18 players in the County who are due to move up to senior level next season. Obviously OAs intention is for you to think about playing for them when you are over 18, but regardless of who you may be thinking for playing for (or even if you are not thinking about it at all) the sessions should be worthwhile attending. In order to fully cater for these sessions OAs need to know the likely numbers that maybe attending - so please email Tasha Saint-Smith, and/or let me, Mike or Dave know. Parents are also very welcome to come along and meet the team. If you have any questions or queries, please contact Tasha. Cheap video and YouTube means that there are a growing number of short films out there showing various aspects of women's and girls' rugby. Some - well most - are a bit ho-hum but Your Scrumhalf Connection is proving very good a selecting the best each week, and this Monday's is a true piece of art. Quite what the producers were aiming to achieve with Rugby Film I am not sure, but the result is somewhere between unique, quirky, amusing, fun, and just plain neat. Well, I thought so. Enjoy! Forgive me for being apparently needlessly pernickerty, but I find this annoying - and in a way rather telling of a certain organisation's attitudes. As you may know, one small sideline I have been working on is a definitive list of all women's internationals - mainly because its not something that anyone else has done (not least the IRB, who expend huge effort on recording the most obscure men's internationals but can't be bothered to keep records of more than a tiny fraction of women's games). One slight problem with this is that different countries can have different opinions about whether or not a game is an international or not. And of all nations possibly the most pedantic when it comes to the awarding of international status is England where the RFUW, for example, uniquely refuse to recognise most games played by England in the annual FIRA European championship as internationals because (in most years) England happen to select an understrength, development, team for the event. Yet RFUW are calling this Saturday's game in Dublin between England and an "Ireland President's XV" an "international" - even though their opponents are (by definition) not a full national side - presumably just because they are fielding a full England team! Is it just me, or is it the height of arrogance for one nation to feel it can dictate whether or not a game (or entire tournament) should or should not be considered a full international based solely on the level of team it selects?? Its hard work at the best of times to get the media to take women's international rugby seriously - such wild inconsistencies of interpretation by those within the game really do not help. At least one of our girls got some rugby in today! While our other county stars were twiddling thumbs following yesterday's cancellation, Hayley - at the request of regional and national coaches - was down in Upminster in London for the East Region's senior trial. Around 40 women were present, all playing exclusively adult rugby and all (bar three - Hayley being one) playing for either Premiership or Championship clubs (ie. the top three tiers of women's club rugby). A few were familiar faces from previous year's U18 regional teams - so it wasn't a complete leap into the dark - but junior rugby's sole representative did look a bit slight as the three hour trial began. After two hours of various drills the game came round in the gathering gloom (unfortunately my camera is not quite as good as Mike's and Phil's, as you can see) the minor inconvenience of a finger bent at an unusual angle did not stop some familiar runs (above). As we moved into the second half, another Hayley break at outside centre sucked in the defence, and a quick pass out of the tackle (left) lead to a try. ... to score her first "senior" try! After that it as all tackles and a very happy looking "junior" at the end of the session. The squad will be announced by Friday. Obviously there may be complications from "guaranteed" selections from higher squads (as at England U20s), but overall this looked from the touchline to be Hayley's best trial for a long time - so fingers crossed! As for the overall standard? Personally I did not think that the players were any quicker or more skilled than most U18s - in fact on both counts the standard was the same as we saw from Reading last week. Having seen trials at U18s and now adult the major difference is simple physical size. The average player is significantly stronger and also - as a result - the impacts are heavier and harder. Overall this was ideal for Hayley, but none of the rest of you should be overawed by it. By the time you move into adult rugby, especially with several years of rugby under your belts, you should not be out of place in an event like this. PS. Meanwhile, elsewhere in London, England A beat Italy 20-0. See here for report. Late, late news from Nottinghamshire - the U18 section of the NLD tournament has been cancelled due to waterlogged pitches at Mellish, but so far as I am aware the U15 tournament at Paviors is still on. Having spent the day in these parts I have to say that I am not remotely surprised that Mellish is off as driving in that area was not much fun. Elsewhere county U12 training at Hitchin has also been cancelled, while the England A international against Italy (see below) has already been moved to the Old Deer Park, Richmond - and may still be cancelled if conditions deteriorate. A decision will be made early tomorrow morning. In the meanwhile last night, before the monsoon hit, the England Development team beat Italy A 20-10 (report here). Its really been an awful first half of the season for rugby tournaments. Rochford, Beckenham, Essex County and now NLD all cancelled - for different (generally unavoidable) reasons - but it makes it all the more important that the events planned for spring 2009 go ahead. The only main threat there at the moment remains the Not-The-Rfuw National 10s, but lots of work is going on behind the scenes to come up with a formula that Twickenham will accept so that that event can go ahead, and the weather should have improved a bit by the time we get to the sevens tournaments in May! Well, not literally here - more at London Welsh this weekend when what are effectively England's 2nd and 3rd XVs take on the best from the world of of Italian women's rugby in fixtures that will be vital to both nations' world cup preparations. The weekend of international rugby begins tomorrow night when a team officially called the "RFUW Development XV" - the England 3rd XV - take on Italy A, the Italian's 2nd XV. For England its a rare international chance for the up-and-coming young players on the fringe of the main squads to have a chance to show what they can do against adult international opposition. The last time an English Development team took the field in a similar fixture was in the lead-up to the last World Cup when they played Netherlands 1st XV home and away, losing 15-14 in Amsterdam before winning the return 15-5. Many of the Development team are drawn from the current U20 squad, backed up by other players currently knocking on the door of the main England squads. With more than 18 months to go before the World Cup there is still plenty of time for these players to make their mark. Although they are playing the Italian 2nd XV, the sheer mathematics of player numbers will alone make the Development team favourites. The Italian RFU claim to have 1500 registered players, but that is barely a tenth of the number of players RFUW can select from. Similar maths points to a win for England in the second international on Sunday, when the England "A" team take on the the Italian 1st XV - but that is before you take into account that England "A" are probably the second strongest team in Europe (after the England 1st team!). They have only ever lost one game against a national selection - when they were beaten by USA 1st team (then ranked 5th in the world) in 2006 - and they have never lost (or even been seriously troubled) by a team ranked outside the top ten, as Italy are. This is an England team packed with talent, including four players - Claire Allan, Rachel Burford, Vicky Massarella and former Hertfordshire junior Michaela Staniford - who already have significant international experience, while all of the players will already be members of the England Elite squad. All of them will be trying to catch the selectors eye, both for the World Cup and the forthcoming Six Nations. For the Italians, these games are possibly even more important than they are for England - regardless of the results. As there will probably be only room for five European teams in the World Cup, the team finishing bottom of the Six Nations this season are very likely to miss out - as Wales discovered four years ago. Following their win over Scotland last season, Italy are no longer the also-ran of the Six Nations. A good performance - and above all a single win this season - should be enough to see an Italian qualification, almost certainly at the expense of Scotland. Scotland have failed to arrange any pre-Six Nations games this season, so by providing their top 30-40 players with highly competitive warm-up fixtures the Italians are stealing a major (and possibly decisive) advantage over their Caledonian rivals. Fridays game at London Welsh between RFUW Development and Italy A kicks off at 7pm, while the Sunday game between England A and Italy begins at noon. Unfortunately extensive media coverage of the games is not expected, so we'll be relying on the RFUW website to let us the outcome of the games, hopefully early next week. The IRB have finally recognised that their track record on women's rugby could be a major stumbling block when it comes to their Olympic ambitions. Today they appointed former Irish WRFU President Susan Carthy as the IRB's Women's Development Manager - probably the first time the IRB have appointed any woman to a senior management position. IRB president Bernard Lapasset said that "Susan will be working closely with our 116 member unions and six regional associations to ensure that the key goals of the IRB women's strategic plan are implemented and in particular to provide assistance to developing unions in enabling them to grow the women's game." The problem of a game being run by an exclusively male governing body was mentioned a few months ago. The IOC have a target that 20% of senior positions on sports governing bodies being held by women and, while it is just a target at the moment, clearly any sport with no women at all in any administrative positions would have a bit of explaining to do, as the IRB have finally realised. So now the IOC have one woman. Whether one out of twenty-odd is enough is a debatable point - especially when the role created for Susan has no effect on the men's game (whereas the decisions of a heck of a lot of men have an effect on women's rugby) - and it says a lot about attitudes when the IRB treat the appointment of a woman to run women's rugby development as if it were a major breakthough. However, the longest journey starts with a single step and it has to be admitted that it is a start. Women's rugby will now have a voice on the top table who can campaign to improve the game - both at the IRB and in member unions. Whether it makes a difference in practice only time - and Susan - will tell and her record in Ireland in recent years must give us some confidence. One thing she might perhaps start by doing is bring a degree of reality to some IRB statements on the women's game. For example, at today's conference Lapasset also said that "Susan's appointment comes at a time when the women's game is experiencing phenomenal global growth and interest, growth that is clearly highlighted by the 83 unions who participated in the qualifying process for Dubai." I don't know about you, but I reckon that 8+33+5+7+9+8=70. Not 83. So why the near 20% exaggeration, Bernard? Or were you not following the qualification process particularly closely? Generally it is impossible to contact IRB officials by email as the IRB does not publish any email addresses (or any other contact details beyond its office snailmail address). However, Susan may be an exception and - based on an interestingly worded job advert published last year - can probably still be contacted at susan.carthy@yahoo.ie. It was a very frosty morning at Letchworth this Sunday and all the pitches were frozen solid but a good deal of wintry sunshine was just enough to thaw out the top pitch by the 1pm kick off of the U18s match against Reading. With Letchworth down to only 10 fit players this weekend, Reading kindly loaned the home side a brace to allow a 12-a-side match to take place. The first half was close fought but with Reading generally on the attack and Letchworth resolute in defence and just a single try separated the teams at the interval. In the second half, however, the Reading attacks were relentless and the visitors were eventually amply rewarded on the scoresheet though the home side tried every way they could right to strike back right up to the final whistle. Yes - its our former assistant coach for part of the 2006/7 season, Mike Crump, now back in the South West working last summer as a community coach with Cornish Pirates, the National One side formerly called Penzance & Newlyn. It seems that Mike has been with the Pirates for well over a year now, and is heavily involved with developing school links. He also turned out for the club's amatuer team last season, but has now moved his on-field activities to nearby Hayle RFC. After this tournament, and based on performances across the three fixtures, county coaches will select players to go forward to the East region trials in January. Both Dave Roberts and Spike from Swaffham have also pointed out another valuable coaching website - the NZRU's Coaching Toolbox. However for some reason it has been unavailable for the past couple of days so I didn't include it earlier. Now I have managed to get in it looks an amazing resource. One slight quibble would be that the procedures for the scrum engagement in some of the videos are now out of date and would certainly have been in appropriate for the age group linked anyway - but that is relatively minor. Again, take a look as should you ever be involved in any sort of coaching or support then it'll be invaluable to know what resources are available support you. Sam Fulling is now officially asking for volunteers to take part in a vRugby project. It may sound a bit daunting, but there is loads of support available. YOU get to choose the project, which can be matched to YOUR club's needs. As well as the satisfaction that would come from taking part in vRugby you'll also get great experience that will be invaluable in anything from a GCSE PE course to a UCAS application or a CV. If you are interested, or even just want to know more, then let me, Wonky or Mike know - or drop Sam Fulling a line (SamFulling@saracens.net). But be quick about it - the offer is only open to a limited number of clubs, and if Letchworth don't put forward other clubs will. On a related subject some recent men's rugby internationals have hinted at the vaguest possibility that the colonials may know a thing or two about how to play the game. Yesterday I passed on some links to some of their training videos, and as a result Dave Roberts, ex-Letchworth coach and now coach of the county's boys' teams, has provided me with links to an even more comprehensive library of training drills and tips. The ARFU's Library of Drills includes clear videos on all aspects of play. Its divided up by age band, but really the categories reflect the relative experience of players, so the age "7-8 drills" would be suitable for complete beginners of any age. Also many of players demonstrating the "younger" videos are girls. If you are involved in any coaching (as part of vRugby, or a GCSE PE course, or supporting your school team) this could be an invaluable resource (its certainly better organised website than anything from the RFU). A lot of the funding for this will be coming from the Heritage Foundation, though the club will be having to raise its own money as well - especially for the clubhouse. Planning permission is now being sought, but if and when this goes ahead this it will give Letchworth some of the best facilities in the Hertfordshire (or Bedfordshire), rivaled only by the likes of Old Albanians or the University of Hertfordshire. This Sunday there is an U18s home match against Reading scheduled to start at 1.00pm but, unfortunately, no U15s fixture. Please meet at the club at 11. 30am. I've also come across another series of rather more introductory videos which are worth looking at because - almost uniquely I think - all 12 feature only women coaches and players. They are the work of a player/coach - Miriam Richmond - from Montana in the USA. They are a bit basic and have to confess that Miriam's accent does get to me after a while, but as a means of demonstrating basic rugby moves to new or potential players (at school, for example) they are valuable if for no other reason than there are no men in them. Our home ground has been on TV (again) - not actually at its springtime best this time, more at its "typical" muddy winter guise. The occasion is the visit of a Spanish team (Barcelona) to play the men's 2nd XV, because they are in the same league. Yes - Barcelona are in a Hertfordshire rugby league - the film explains why! Anyway - enjoy and maybe remember a few similar games you have had on the same pitch. There are times when this feels like a bit of nerdy self-agrandisment, but I cannot resist mentioning that the latest blog rankings are out shortly. Our good friends at Total Flanker have had a sneak preview of the new standings - and we are up again! Though it does not show up yet, in a few days the official site will show that The Letchworth Girls Rugby Blog is now an amazing 5th in the nation's sports blogs - and back at number 1 again amongst the rugby blogs! No sign of Sky or Rugby World beating a path to the door yet armed with large cheques, but we live in hope. The Sporting Chance Foundation (aka England) were winners of the Dubai Exiles Sevens today, beating a multinational "Saudex Wooden Spoon" 12-10 in the final - comfortably England's closest game. Despite sneaking ahead 7-5 at half time, England were behind for most of the final, and they were still behind with only four minutes left, before Sarries' Charlotte Barras scored England's crucial second try. However, it was Alice Richardson who was the main difference between the two teams with a try and two conversions that saw England to the title. Several of the key Wooden Spoon players were from Scotland - but as they are (famously) not going to the World Cup the final was perhaps a poor guide to the fate of that event. Of more significance may was England's semi-final win over the Caribbean and North American champions Canada, where England ran out 12-5 winners (the RFUW website says that the "swept aside" the Canadians, but with a margin of only a single score its doesn't quite sound like that). This followed on from an even more comprehensive 34-7 win over the other North American qualifier, the USA, on the opening day. Although these games were technically not internationals, the Canadian and US teams were effectively their national squads. This means that in the last six months or so England have now played (and pretty comfortably defeated) all of their likely challengers for the World Cup except one - Oceania/Pacific champions Australia. With one more warm-up tournament in San Diego to come, England look well set to live up to their number one seeding. * Before you ask, Aylesford Bulls - whose unfortunate draw was highlighted last week - did creditably well against England in fact, going down 39-0 on Day 1. However they then lost 50-0 to Wooden Spoon and 39-0 to the USA before finally getting onto the scoresheet in the plate tournament where they lost to the Netherlands 25-7. As we are without a large number of our U18s this Sunday, there will be no girls training at Letchworth on November 30th. "A 53 Seat Coach to take the Herts U15 Girls Squad and Herts U18 Girls Squads to Worcester RFC on Sun 30/11. It has been hired from Reg’s Coaches (which should be printed on the side of the Coach) and will be leaving from outside the Sports Village at the University of Hertfordshire Sports Village, de Havilland Campus, Hatfield Business Park, Hatfield, Herts, AL10 9EU at 09.30 sharp." Six of our girls have been selected in the county squad for this weekend's U18 trip to Worcester. Its one less than we sent to the Sussex tournament as Natalie and Emily are unavailable, but Hayley is joining the county team for the first time this season as for once she has no representative trials, and it also means that we have had more of our girls play for the "senior" of the two county teams this season than ever before! Congratulations everyone, and have a good game. I just realised that when tidying up the indexes I accidentally removed the link to the Hall of Fame. Sorry! Its now back - and updated (see the links on the right). Rugby's biggest awards evening took place last night - the eighth IRB Awards. All the headlines were about Shane Williams winning the Player of the Year (no female nominations... but then there never have been), New Zealand team of the year (the men... obviously), and various players and teams being inducted into the Hall of Fame (which, needless to say, remains male only - not least because no woman has ever been nominated). However, buried deep in the awards (and I mean deep - only one of the IRB's many press releases and web pages on the subject even mention it) was the one award out of thirteen which recognised the existence of women's rugby - the curiously named "IRB International Women's Personality of the Year Award" (can the IRB not bring themselves to call women "players"?). And - in a night dominated by New Zealanders - it was won by an Englishwoman. So congratulations to Carol Isherwood - former Performance Director at the RFUW until her surprise departure a year ago, and now Sports Development Manager in Westminster. The IRB describes her as the "one of the driving forces behind England’s success on and off the field over the past decade and a champion of the global development of the Women’s Game". The only other coverage of her award I can trace has been in a short press release from the RFUW which expands on Carol's 10 years of achievements at the RFUW by saying that she was "heavily involved in working to develop an effective partnership with the RFU and making the women’s game sustainable for players, clubs and at the elite level of the game". What neither the IRB nor, curiously, the RFUW mention are small details such as six Grand Slams and two World Cup finals in those ten years - a record possibly unmatched anywhere in rugby, male or female (unless anyone can suggest someone who has a better record?) - arguably deserving consideration for the Hall of Fame rather than a single line buried deep in a two page IRB press release. We've been using the ELVs - the "Expermental Law Variations" - since the start of the season. So what do you think? Have you noticed? Have they made the game any better? The RFU now want to know what you think - be you a player, coach, manager or spectator - and have published a short online survey. It takes barely five minutes to go through, so please pass on your opinions. Note: There are a couple of questions about the ELV that allows a maul to be pulled down. Remember that this law does not apply to junior rugby so you will not have played it - but you may have seen it in action in games on TV. One question I've had about the the trials for the England and British Colleges team is whether your college needs to be an RFUW member for you to be able to attend the trial. As the question doesn't have a name attached I thought it would be a good idea to reply here so that everyone is clear. Because the short answer is no. While you should encourage your college to join the RFUW (it probably won't cost them anything), and while RFUW membership is probably necessary for insurance at inter-college fixtures, it is NOT required in order for you to attend the England/GB XV trials. This is mainly because you are taking part as an individual, so the insurance for the trials day, and any subsequent matches, is a matter for British Colleges Sport - the organiser of the event - not you or your college. Also the English and British Colleges representative teams are not RFUW teams (unlike - say East Region or England U20s) so actually whether or not your are a member of an RFUW registered club or college is irrelevant. Your college needs to be a member of British Colleges Sport. However, if its a local authority college is almost certainly will be. If in doubt you can check you college's affiliation here. I also discover that you actually have to be aged "over 16 and under 19" on the preceding 31st August - so its not quite any age, but its certainly covers all of you - and for both this season and next. In essence therefore its a U19 team. If you attend more than one college then its a bit complex - but basically the college where your spend the most hours has to enter you. In short all you need is to get someone at your college to sign that form - and even that may be unnecessary as BCS have contacted us inviting us to put forward names. It is possible that this is an error on their part, but if so they have now made the same error twice - so if you college can't/won't nominate you... we probably can! Just ask. After that all you need to do is get Wednesday afternoon off college on 3rd December, and make your way to Northampton - and unfortunately over to you on that. Letchworth leave it (very) late! Once again we were pleased to welcome girls from Stevenage RFC who joined in the fixture bolstering the numbers on both sides. And what a great fixture it was! This was the keenest fought and closest contest Letchworth have had this season with the lead always within a single score right up to the last 10 minutes when Suffolk Sabres opened up a 10 point lead by scoring 2 tries in rapid succession. However, the Letchworth girls were not finished as they maintained pressure on the Suffolk line for a large part of that last 10 minutes and were rewarded with a try by Hayley which left them 5 points down with 5 minutes to play. More pressure was exerted but sterling defence by Suffolk Sabres kept out repeated Letchworth attacks until, with the last play of the game, Jess managed to cross the line to equalise the scores. No pressure then on Nikki who had the conversion to win the game for Letchworth ... despite the strong breeze in her face Nikki managed to slot the ball over to secure the victory. Many, many thanks to Suffolk Sabres for making the long journey on such a wintry morning and providing us with such a stern test. 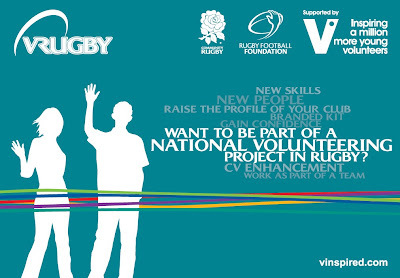 More information on the vRugby initiative - the new programme designed to use young volunteers to help spread the game. ... but will otherwise be more or less of their (and their club's) choice. In practice this might mean running projects to increase participation (such as schools rugby festival or similar), performance (coaching), fundraising; or improving facilities. In return, as well as helping their club, the volunteers will get all expenses paid, full training, the chance to develop all kinds of project management and other skills, and free branded clothing. Club activators are being sought now - so is anyone interested? If so please get back to me or Mike asap so we can look at how we might use this scheme to benefit our club and the wider game. After the game yesterday discussions turned, as they do, to the matter of the RFUW AGM. Okay, a strange thing to discuss and not normally something high on the list of post match conversations but, as I recall, we had by then solved the world economic crisis, come up with a workable way of ensuring world peace, and had only been diverted away from Fermat's Last Theorem because someone pointed out that it had already been solved. So you can see we were running low on topics. Even in these circumstances, the subject of Great AGMs I Have Known is normally not much of winner in rugby bar conversation but in this case it was pointed out that there is something seriously odd about this one. When an organisation has its Annual General Meeting - as a rule - it will normally make a reasonable attempt to ensure that as many people as possible can attend by organising the event on a date when most people do not have alternative commitments. It is obviously impossible to come up with a date that suits everyone, but as a rule avoiding other major events in your own organisation's calendar would normally considered a good start. Which is what makes the RFUW AGM ever so slightly remarkable as not only are Sundays match days for most clubs, but (as one correspondent pointed out earlier this week) this particular Sunday is also the final junior county fixture date - so anyone who is anyone in English junior rugby will be involved in an inter-county tournament somewhere. And in addition to that the 14th is also the date for senior regional trials, so most people associated with senior rugby will also be otherwise engaged. This did give those with a conspiratorial turn of mind cause to wonder. What is going to be discussed at the AGM this year? Or maybe what is it hoped will not be discussed? After all - as someone said - if you wanted to pick a more inconvenient date in the entire calendar so as to ensure that as few of the leading players, officials, parents, coaches, or volunteers as possible would be available then, short of choosing Christmas Day, you could hardly come up with a better date than 14th December. Personally I think such speculation is nonsense and suspect that this is simply an example of frighteningly poor planning. After all, what things might RFUW possibly want to avoid discussion about? Any suggestions? British and English Colleges XV trials: your chance to wear the red rose! News that the trials for the English and British Colleges teams will take place at Moulton College in Northampton on Wednesday 3rd December between 1 and 4pm. The team is open to anyone (regardless of age) attending a Sixth Form or Further Education College. I understand that the team is roughly the same standard as a regional team - last year several girls from the Essex county team played for England Colleges against Scotland in Edinburgh - so if you have ever been selected to attend a regional trial you really should give the trials a go. I am seeking clarification, but appears that you need to be nominated to attend the trials by your college's PE department. They should have been sent nomination forms today. If they have not had the forms then download this form, give it to your head of PE (or someone appropriate) and get them to send it to Vicky Buck (vlb1978@yahoo.co.uk) as soon as possible. Or send it yourself. Or stand over them while they send it. Exit the M1 at Junction 15 and join the A508 North. After 2 miles the A508 becomes the A45. At the third intersection leave the A45 by the slip road and join the A43 (signposted Kettering). 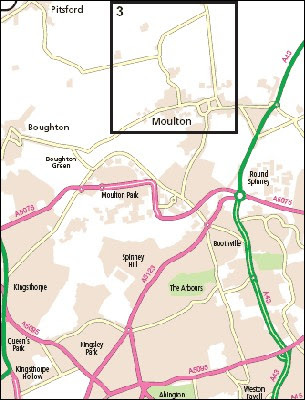 Travel for 3 miles, straight across 2 roundabouts and at the third turn left onto Overstone Road (signposted Moulton). Continue until you see the Co-op and bear slightly left until you reach a mini-roundabout in front of the Post Office. Turn right down Stocks Hill, which leads into Cross Street, which leads into West Street. Take the first turning right into Pitsford Road and then first right again into the College. In addition 51 "Category C teams" - ie. teams that would have to combine with another club to field a team. Its a slightly improved picture compared with a month ago - and there are still a few clubs missing yet (*cough* Swaffham *cough*). However overall losing a third of a sport's registered clubs in two years must be a bit of worry. This is more than balanced by new teams, but think how strong the game would be if this hemorrhaging of volunteers, players, and experience was even just halved - surely its cheaper to maintain an existing club than it is to build new one? We'd then have a game genuinely and rapidly expanding rather than (more or less) staying where it is. (The U15 and U18 maps on Google Maps have also been updated). Winter is arriving early this season but despite the Doomsday headlines (Colder than Siberia!) as things stand the forecast for tomorrow at our end at least remains pretty good. Dropping below freezing tonight with the odd sprinkling of snow possible, but rain and rising temperatures in the morning reaching the dizzy heights of at least +6 by kick-off, so even with our ground's reputation for freezing we will be okay. The biggest home fixture of the season so far will (weather permitting!) see challenging games for both U15s and U18s on Sunday. The U18s will face Suffolk Sabres, the new team made up of the pick of Suffolk (and Norfolk!) including at least one well known face! U15s will be combining with Hertford to take on Norfolk Nomads - a combined team from the county, based mainly on Swaffham, but also including players from the likes of Holt, Faversham, and Wymondham Cancelled owing to illness at Hertford. Meet at the club by 12.15 (12.00 if possible, says Wonky) aiming for a 1pm kick-off. Gloucestershire's county manager will be the referee. Region: a light in the fog? The RFUW have responded very quickly to yesterday's piece about the senior regional trials. finally, they clarify that a U18 selected for the senior regional squad cannot also play in the U18 squad (which is in all honesty no surprise and eminiently reasonable - though it was interesting that I could not find anything actually saying that in the more obvious sources - and I did look - hence my somewhat tongue-in-cheek comments). begins by saying "The dates for the RFUW 2008/09 Regional Programme have now been set and we would like to invite you to register for the upcoming trials." finishes with "We look forward to seeing you there!" No hint there about talking to club or county coaches about whether you are up to it (which surely would be a good idea for players of any age). Could you help spread girls rugby? There is a new initiative designed to spread the game of rugby - and its looking for volunteers aged 16-24 to organise and run events, large and small. vRugby is a project funded by investment from something called the v match fund, a charity that exists to promote youth voluntary work in England. It has come together with the Rugby Football Foundation with the aim of putting together a network of CBs, clubs and 3,750 individual young volunteers to run events, improve facilities, spread the game's ethos, and raise funds. Its sounds great, but working out exactly how you could be involved if you were interested is at present a little like trying to nail down a jelly. There are a fair few articles and websites out there (including one today about England's U20 captain Laura Keates being appointed a "vRugby Ambassador") but none seem to answer the basic question of "what do I do if I want to be involved". However, I have tracked down the Hertfordshire "County Activator" - a guy called Sam Fulling at Saracens - who should hopefully be able to fill in the gaps. In the meanwhile take a look at the vRugby website and think about whether you could become involved. In a development that will really please the county U18 coaching staff Hayley (and presumably the other Hertfordshire girls aged over 18 who went to the England U20 trials) has been called up for the East Region's senior trials on 14th December. That means the trials for the adult regional squad - not the junior trials, which take place in January. The reason that this is likely to have the county coaching team a shade peeved is that the 14th December clashes with the final county date, and the Notts Lincs and Derbyshire tournament. It also means that they will have been able to field a full-strength Herts U18 team on only one weekend all season - the trip to Worcestershire on 30th November (U15 team, and U15 and U18 travel information, for that here) - which makes that a rather special event. Obviously girls like Hayley who fail to get into the regional senior squad will still be eligible for the junior trials in January. However if they do make the senior squad it is not clear that they will not be able to play for East U18s as well. There are some date clashes, but surprisingly not many, so its is not practically impossible. Amongst the incentives for going to the senior trials is that there are fewer regional dates, but also more actual matches (rather than training sessions). The senior regional system also ties in better with the pathway to national squads. Imagine that you have entered a sevens tournament. Its a special event with lots of international teams - and its being played out in Dubai - but still most teams are normally club standard. Should be fun. And the draw comes through and you find that you are playing someone called the Sporting Chance Foundation. Never heard of them - a bunch of charity workers maybe, odd ringer perhaps, but sounds good. Bring it on! A press release from RFUW reveals that the team is, in fact, England. That is the full England sevens team - favourites for the Sevens World Cup next spring - who are using the tournament as a first warm-up. And England are not the only international team. Both USA and Canada - and possibly one or two more besides - have entered in varying degrees of disguise, which goes some way to explain why England are flying out to Dubai to face Aylesford Bulls rather than going 50 minutes down the M2. Anyone care to guess the score for the game? After this England will be off to San Diego for a sevens there. Then it'll be back in fifteens mode for the Six Nations, preceeded by a warm-up game with Ireland in December. England will be going for their fourth consecutive Six Nations Grand Slam, and despite RFUW's attempts to make it seem slightly exciting it has to be said that England are now SO far ahead of the rest of Europe that an England 2nd XV would still be favourites win the title and, indeed, the slam. The only question is how many tries they will conceed - if any. They certainly won't lose any games. It'll be interesting to see who comes second or third, whether France's decline has now reached free-fall, and whether its possible for Scotland to get any worse - but the actual championship winner is a foregone conclusion. Both Letchworth U18 and U15 squads travelled to Hertford RFC today with the U18s playing against the hosts and the U15s combining with them to play against OA Saints and Saracens. The U18s dominated their match against a novice Hertford team from the very first second when Jess fielded the kick off and immediately ran in a try. More tries followed soon after but, to their credit, the Hertford girls stuck to the task throughout and provided sterner opposition as the game progressed. Highlights of the game from a Letchworth perspective were a brace of tries for Georgie and a stunning 70 metre break-away try by Ellie in the closing seconds. Three Letchworth U15s - Laura, Jess and Ellah - joined with Hertford to play 2 matches in a triangular tournament with Saracens and OA Saints. The first game against OAs started as a close affair with the sides exchanging tries until Hertford/Letchworth managed to pull out a 4 try lead going into the final minutes. However, OAs came back strongly and managed to halve the deficit by the final whistle. The second game against Saracens was comfortably won by the visitors. The Letchworth girls all aquitted themselves well - particularly so as this was the first match at U15s for Ellah and the first match of any sort for Jess. Well done, girls! Many thanks to Hertford RFC for an excellent days rugby.